It was Valentines Day the first time I painted pottery. 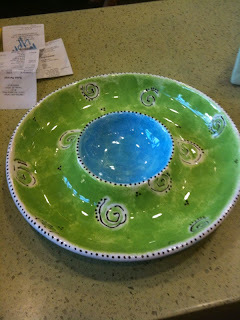 The new pottery place had opened in a mall outside Seattle and it was owned by actress Jodi Bissett. My parents had taken my sisters and I to try out this new trend. Right away I loved it. Ask my dad, I'm the crafty one. One year for Christmas I made my family an extra present from my mom's empty wrapping paper rolls. Talk about eco-friendly recycling! Even though I'm sure they all ended up in the garbage. Point is, I love crafts and very creative! I think that is why painting pottery was so appealing. Since that first introduction I have painted coffee mug for my dad (that has been in the glass dining case on display since its opening), a Christmas frame for my mom (that one made it to the shelf in the family room), the snowman, bowl, and star box all recently made their way to my house after my mother decided to redesign my childhood room. I am proud of these treasures and have enjoyed each time I get to paint. 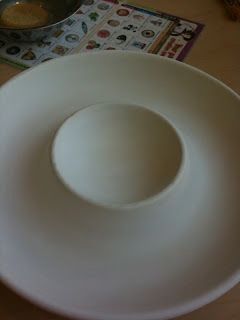 Recently a friend and I made a trip to paint pottery. Her choice, 2 matching monogrammed mugs for herself and future roomie. My choice? Chip and dip platter! The inner hostess in me has comeout. I tried to incorporate the colors of my living. What do you think? I'm already thinking of ideas for my next creation. 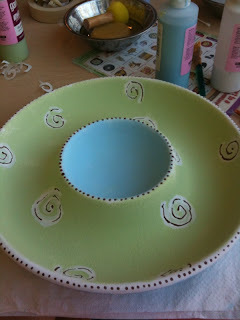 Try pottery painting near you! For as long as I can remember I have loved Paris. Maybe it was the first time I went to Paris or the first time I watched Beauty and the Beast where I learned I love French culture. I was lucky enough to go to Paris for my 3rd time last summer and will never forget when a tourist asked me for directions! It made my day that he mistakened me for a native. I had an opportunity rise for me to study abroad this Fall in Paris. Unfortunately after long awaited decisions and complications it was in my best interest that this was not the time for me to experience Paris. But don’t worry my goal is not over! Just gives me more time to prepare my self for the Parisian experience and create a longer to do list. I courage you to make a To Do List for your longtime goal too! Lists are healthy, I make a lot of them! I recently am new to craigslist, as a seller that is. I’m not buried under a hole; I’ve shopped on craigslist, watched specials on the craigslist killer. I even obtained my current job through craigslist! It’s a great way for people to get connected but after watching the special on the craigslist killer I have become a little skeptical and careful about selling my items. Obviously the women who were victims were not selling furniture as I am but still the Internet is a dangerous (but wonderful) place is it not. 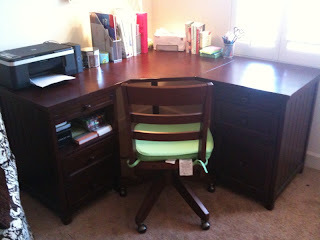 I have already received one email trying to scam me onto getting my desk and chair! Not going to happen any longer and so that it doesn’t happen to you I thought I’d write some safe guidelines for posting ads on craigslist. Write as detailed description as possible and add pictures. This will minimize a number of emails you may get asking for more information and photos. Be sure to be up front about payment! Cash or paypal only. Beware of money orders. Never go meet a stranger alone! Be sure to bring a trustworthy friend with you. If pick up is at your place of residence be sure to not be there alone. Ladies, get your boy friend or good male friend to be at home with you! BlogLovin! This a great wesbite that lets you follow your favorite blogs in a simple way. Twitter meets blogs all about fashion and more! I am starting to find some new favorite blogs of my own and had to share it with everyone. Hurry! 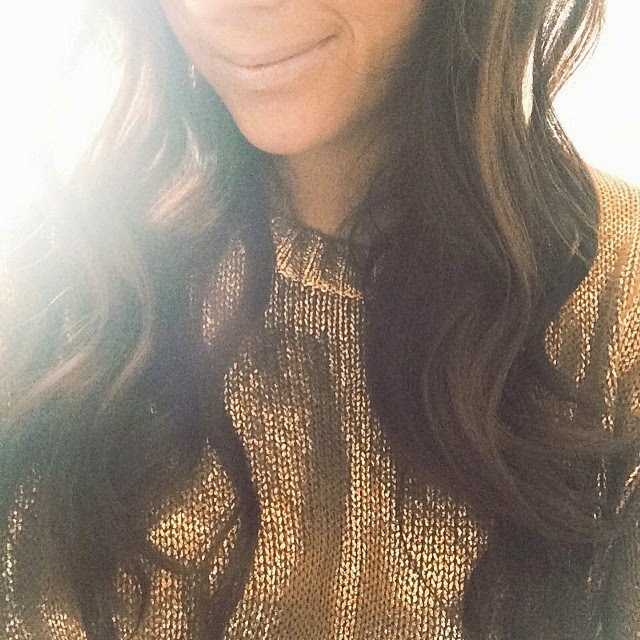 Go sign up to bloglovin and start following "Just B" and others! I know there are many of us that are stuck in a rut when it comes to our nail color. Trust me.. you know it. I had my french mani/pedi phase. "You want a color? OH no! only french please" still trying to forget that look of disgust by the technician with inch long nails each one a different color. Don't worry ladies that's not where I am going with this! I recently decided to branch out after I admired a girls nail color. First I thought its probably one of those things where only she can pull it off. But I made it a success! I took the turqouise nail laquer for a spin and fell in love! I even inspired one of my best friends to go for the color after she saw mine and it looks like this is best domino effect we could ask for. I listed some of my favorite nail colors down below and urge you to give it a try! Worst comes to worst? you buy more nail polish remover but take the challenge and experiment! WHAT I WANT: OPI new matte nail lacquer in Russian Navy! Already shown in this months Marie Claire. As shown from the photo by Marie Claire above! 1. Longchamp 'Le Pliage' Tote LARGE: as stated before in a previous post. A large tote is a necessity so that you fit all your basics. The 'le pliage' tote is great because it is light weight and doesn't get dirty easily! It comes in a variety colors so you can have your choice. If $145 is too pricey for you then look at websites that offer old season colors on sale. Don't want just one color on the bag? Go to longchamp.com and you can customize your own bag! Choose hardware color, main tote color and even add a stripe down the middle of a contrasting color. 2. Laptop: Though as shown I am impartial to Apple products. The macbooks are lightweight and easy to carry. I even suggest getting a hard cover for the macbook, you can choose from a few colors and make your macbook different. Go to the Apple store to purchase your new macbook and hardcover! 3. iPhone: I told you, I am impartial to Apple products! Though you should not be texting during class (we all do it) the iphone has great applications that will help you be studious. Try myhomework, you can put in all information regarding your classes including course name, instructor and room number. You will never be that dork holding out your schedule or map again! Once your classes are programmed you're ready to add your homework, myhomework will organize your homework into a to do list starting with the most urgent. 4. Moleskin: It's time to grow up and put your superhero note book away... The moleskin is a classic notebook that will be a great place to jot down your inspirations, ideas, etc. It comes in many different sizes and page types. Visit your nearest Barnes and Noble to find your next notebook! 5. Rubber Cement: If you are a fashion student, attend art school, or any other design profession I can't explain to you how many bottles of rubber cement you will go through! Rubber cement is a great glue for mounting all paper products. Unlike the old school Elmer's rubber cement has no water in it so you get no wrinkles while mounting paper. Rubber cement is a necessity, you never know when a project will have a slip up! 6. Clif Bar: Need a healthy snack? You aren't going to find it in the vending machine next to the temping starbursts and doritos. Go for a clif bar, plenty of flavors and typically under 300 calories. I always have one in my bag when I need a pick me up instead of going for more caffeine. Buy them at bulk at most grocery stores instead of individually to save you a few bucks! 7. Water: Hello! I hope no one thinks they can go all day without water! Though it is pretty easy to forget. That is why I buy the biggest bottle I can find so that I will be sure to drink my daily intake throughout the day. Be more eco friendly and purchase a reusable water bottle! 8. Fashion magazine: I am not telling you to read this during class but it is always helpful to have some light reading in between classes. If you read magazines often buy a subscription! You will typically get your issue before it hits the stands so you will always be on top of the latest gossip or fashions. You may even find some inspiration for your next project! 9. Pashmina: Regardless of the season it can be very chilly. But typically in the ending summer months the air conditioning is still running which makes your summer dress a little more chilly rather then cooling when outside. Use the pashmina as a wrap, scarf, blanket. Nordstrom's has a great selection. You want an even better deal? Know a friend or relative visiting Europe soon? There are great Italian pashminas sold on the street for as little as 10 euros. Thats only 15 American dollars! So there you are, my necessities for being the studious student you know you want to be just one more thing... don't forget your text books! Internet savvy! I know some of us are faster learners then others but if you have a blog and want to feed it to your Twitter account use this application! Twitterfeed.com There are so many more savvy internet users out there, but us slower ones just need to learn to be copy cats. Addicted to shopping that is. And I have succeeded in the last week. Coincidentally President Obama also addressed the nation this week and said in his own words to go stimulate the economy and I have to say I did a pretty great job this week. Some purchases were full price, some were sale items, others were I don’t care what price I MUST have them! My first purchase was a great pair of dark skinny jeans from Forever 21 costing me $12.50! Yes you read that right! Now I am typically one who never hesitates on buying designer jeans. I am a jean fanatic and don’t’ see the big problem with spending $200 on a pair of jeans you will wear at least every week for a year (or until a new pair is introduced but anyways). I was happy with my jean purchase especially during the summer because I am waiting to make my brand new jean purchase till closer to the fall. My next two purchases were straight from the online paradise. One a little practical then the other for this time of year, Cognac leather boots from Steve Madden and Gold ruffle sandals from Steve Madden. I know my boot purchase may be a little early but a girl can’t resist a pair of boots especially when you find them on sale at zappos.com! What a great website concept, having full price items on sale! So as you can see I couldn’t’ resist and it was this purchase that led to the sandals. In hopes that SteveMadden.com would have these boots on sale soon thinking it’s summer, I signed up for those pestering annoying daily emails about “free shipping! (for orders over $200)” or “last chance for free shipping!” I am pretty sure you can always get free shipping on stevemadden.com just enter SMFREESHIP at check out. So anyways I got an email announcing shoe sale and there they were in all their glory in the center of the email 40% off! I am a sucker for great advertising… and the purchase was made and a great success as it went with the new skinny jeans perfectly! I know I should have stopped at the Jimmy Choos but I couldn’t help think about wanting a new tote for school, remember? And so I’d done a little browsing online and found that Longchamp came out with new colors for their ‘Le Pliage’ collection. It was called Billsbury and what seemed to look like a dark purple but as I have learned many times that colors may be deceiving online. I did what you should always do first when you find a product online. See if a store near by carries it first. This way you don’t have to wait for those pestering emails saying free shipping AND you get to enjoy your purchase right away! I know I was crazy to walk into Nordstrom within a week of their Anniversary Sale opening but I was only focused on Longchamp. I quickly rolled past the sale tables trying to find the ‘Le Pliage’ collection and Ah HA! SPOTTED the billsbury ‘le pliage’ tote in small. That’s not going to do. I need the large version; I have too many necessities for school (Blog to come on those..). So I went straight to the sales lady who really wasn’t doing much but over compliment a lady testing out a new handbag. So here I asked her can you see if this comes in the large in the back. She looks at me and says I think we sold the last one. I say, can you check anyways? See I use to work at Nordstrom, I know how easy it is to “think” you sold one thing or how you were trying to get rid of me so that you can compliment the lady trying on a way too big of handbag for her size. So I graciously tell the sales lady I will wait for her to go to look. What else was I suppose to do but look around when I was waiting for her but to browse? And you guessed it, got me into trouble. I fell in love with the most gorgeous Rebecca Minkoff Morning After Mini Studded bag. I made a mental note “make $635 STAT”. So what seems like centuries later (really 5 minutes) she runs to the back and what does she have when she comes out? Longchamp ‘Le Pliage’ Large tote! I knew she was trying to get rid of me, but I gladly smile and make my purchase, tell the mini MAB I’ll be back for you later and get out of tempting land immediately! I think President Obama would be proud of my effort of stimulating the economy. Some would think I over did it but I see a great purpose for each new item. I already have the billion outfits put together in my head! And unfortunately half of those would look great with the Rebecca Minkoff MAB mini….